U.N. climate negotiations begin in Paris in less than a month. Diplomats steeling themselves for a historic round of United Nations climate negotiations remain divided by a handful of stubborn disputes. Discord persists over financial and procedural issues, for example, and over how pollution from farming and deforestation should be addressed alongside energy generation. The fundamentals of climate science, however, are not among the issues being debated. The 50-year anniversary of the first detailed climate change warning issued to a U.S. president is Thursday, less than a month before a historic two-week climate negotiating session begins in Paris. The golden anniversary is coinciding with a rich embrace of climate science in global negotiations. 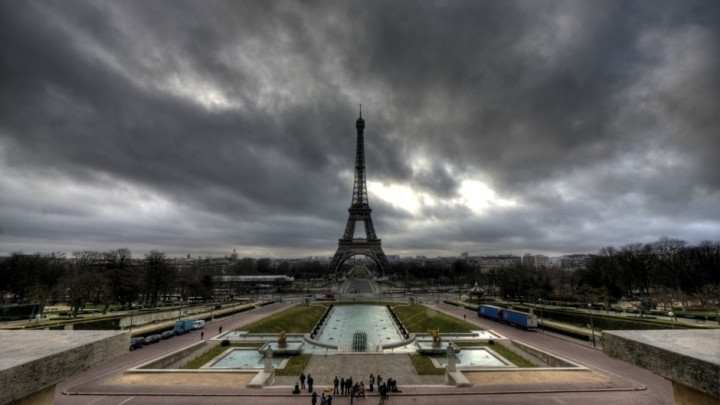 Paris Talks Won’t Achieve 2°C Goal: Does That Matter? The carbon dioxide chapter of the 1965 Restoring the Quality of Our Environment report, produced by President Lyndon B. Johnson’s science advisory committee, cited climate change research dating back to 1899. The science in the chapter was “basically right,” said Ken Caldeira, an atmospheric science professor at Stanford University. It warned loosely of ice caps melting, seas rising, temperatures warming, and water bodies acidifying. In the five decades since, a frenzy of multidisciplinary scientific endeavours has helped humanity pinpoint and project, with increasing and worrying precision, the consequences of rising levels of atmospheric greenhouse gases. Meanwhile, those impacts have shifted from being hypothetical to being real. This year is expected to be the hottest ever recorded, beating a record that was set just last year. Scientists have definitively linked aspects of deadly Australian and European heatwaves and the severe nature of the Californian drought to global warming. Some major coastal American cities now flood routinely during the highest tides. The worsening weather conditions, the growing toll of deadly air pollution from fossil fuel burning, and falling prices for clean energy alternatives are propelling the growing interest in tackling climate change. Climate pledges by China, the U.S. and more than 100 other nations ahead of the Paris talks suggest support for climate action has begun to build rapidly. The Paris meeting is expected to produce an agreement emphasizing voluntary but regimented pollution reductions, creating a foundation upon which more far-reaching steps can be taken and coordinated in the coming years. With scientific consensus on climate change posing no obstacles for the negotiators, here are some of the sticking points that they aim to resolve in Paris. The outcomes of each of these debates are expected to be enshrined in an agreement at the end of the talks. The draft agreement is 51 pages — and negotiators aim to pare that back in Paris. Low-lying island nations — whose very existences are being threatened by climate change — are among those pushing for the countries that got rich burning fossil fuels to compensate them for losses and damage. Such damage could be caused by flooding, by droughts or by wild storms — phenomena linked to global warming. Rich countries see the proposal as a dangerous call for limitless compensation. Of all the issues that will need to be resolved in Paris, experts warn that loss-and-damage may have the greatest potential to derail negotiations before an agreement can be reached. 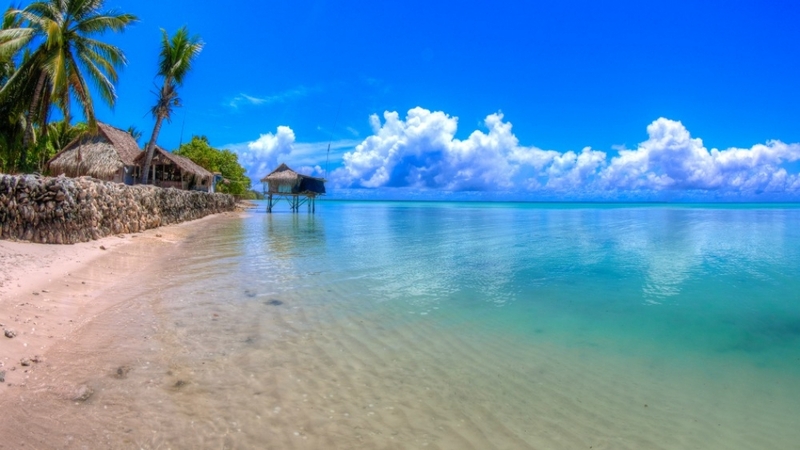 For countries like Kiribati, climate change could have existential implications. To reduce their impacts on the climate, and to help them adapt to the changes underway, developing countries are turning to developed countries for financial assistance. This won’t necessarily all be in the form of donations — much of it could be in the form of direct spending on clean energy programs, or through cheap loans provided by governments or by the private sector. Unlike the loss-and-damage debate, developed countries tend to agree with their developing counterparts on this issue. During negotiations in 2010 in Mexico, it was agreed that developed countries would provide $100 billion a year in climate financing by 2020. In Paris, the governments of developing countries will be asking developed nations to clarify how this $100 billion annually will be raised. They fear broken promises. They will also be seeking clarification on what kind of spending could count toward that figure. “There’s still some skepticism,” Coleman said. Ahead of the Paris negotiations, major countries have submitted pledges — known as INDCs, or intended nationally determined contributions — explaining how they plan to address the problem of climate change. The U.S., for example, has pledged to reduce the amount of climate-changing pollution it pumps into the atmosphere every year by at least 26 percent by 2025, compared with 2005 levels. Like other pledges, that goal is expected to be relatively easy to meet. Taken together, the pledges ahead of Paris will not do enough to keep global warming below the much-ballyhooed target threshold of 2°C. Experts say that’s OK: the idea is to create a new framework for global climate action. Future tightening of pledges is expected to further limit future warming. A consensus appears to be building around the idea that pledges should be reviewed and resubmitted every five years, though other time periods are also being considered. Fossil fuel burning isn’t the only way that humans are warming the atmosphere. Cutting down trees, raising livestock and fertilizing crops also take tolls on the climate. These practices are lumped into a category commonly known as “land use,” and they are addressed in many countries’ pre-Paris climate pledges. Among other things, Brazil’s pledge contains a promise to restore 30 million acres of forest. During the Paris talks, negotiators will try to decide whether land use is “explicitly part of the agreement or not,” said Jason Funk, a climate scientist with the Union of Concerned Scientists. “This is dividing countries. It’s dividing NGOs.” But Funk doesn’t think the outcome of the debate will matter too much, “as long as a few key principles are outlined,” because land use will figure prominently in national pledges regardless. The planned Paris agreement will cover the period after 2020. During the negotiations, countries will also be pressured to work toward reducing their climate impacts during the coming five years. European negotiators want the Paris agreement ratified as a formal international treaty. The U.S., however, warns that its elected leaders would be unlikely to ratify, and it is pushing for an agreement that is more voluntary in nature. Many also warn that countries might low-ball their climate targets if they could face international legal repercussions for a failure to meet them. This has long been a major point of contention in international climate diplomacy, but few expect the Europeans to be forceful on this issue in Paris. “They know that getting binding emissions reductions commitments out of Paris is unlikely,” said Alex Hanafi, an Environmental Defense Fund attorney who has been participating in the U.N. climate talks.